We don’t have shops. Instead, we’ll invite you to one of our Club Suites or to a VIP event. 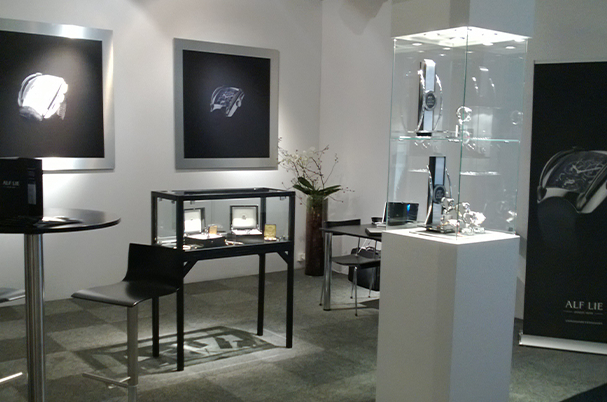 Here, you can handle the watches, get a feel for them and admire the exceptional craftmanship up close. One of our watchmakers will be on hand to answer any questions. It’s personal, relaxed and unforgettable. It’s also your welcome into the world of Alf Lie ownership – think of it as membership of a very exclusive club. Conveniently located in the heart of one of the world‘s most fashionable cities. Known for being the height of luxury and pinnacle of modern technology. The home of our craftmanship and our heritage, as well as our Workshop. Our Club Suites are coming soon. In order to book a meeting, please fill out the form below and we‘ll be in touch.